Super Bowl Sunday heralds the biggest, most creative adverts from brands looking to stand out in that all important commercial break. The ads have got such a reputation now that people deliberately watch them and some brands now release the adverts days early to capitalise on the buzz of America’s biggest sporting event. Even us Brits are staying up late (thanks to the BBC) to get our American football, cough TOM BRADY cough, fix. Let’s not even talk about how cool coach McVay is either – 33 years old and the youngest head coach ever. The National Theatre’s acclaimed production of War Horse has galloped back to the Mayflower Theatre in Southampton. Here’s my thoughts on the most successful play in the National Theatre’s history. 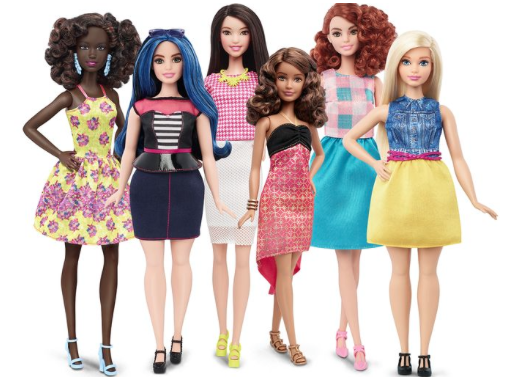 Hitting the headlines this week is the revelation that Barbie is introducing new shapes, sizes and skin tones. Their justification is diversity, they want to be more inclusive. Now I don’t doubt that this is a part of the reason. Mattel have come under some heavy global media fire criticising Barbie’s disproportionate measurements and the negative effects on the children that play with them. However, let’s not beat around the bush. Barbie’s had a hard time over the past few years. The invention of Bratz and other rival toys, not to mention iPads and other technological supplements, have opened up the field of fun for children around the world. This has meant that the humble Barbie Doll has had to adapt to survive or face its resignation to ‘Retro Toys of the 90’s’ segments on Buzzfeed and lame Christmas television shows. Some more of the new Barbie line up! Now diverse Barbie’s are nothing new. My most prized possession as a child was a beautiful Benetton Barbie, one of the first modern designer Barbies that my Mum bought me back from a trip to Amsterdam. She was stunning, her clothes were different to any of my regular Barbie dolls. Her skin tone was different, her make up was different, her eyes were more oval and she had long flowing dark hair. She looked chic and Italian. I loved her. 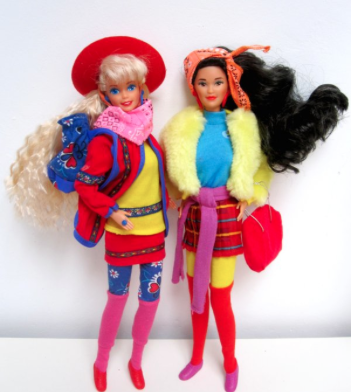 Wow the power of Google – I found my Benetton Barbie online, she was called Marina! But, I digress, what I mean to say here is, this is nothing new! Check out the evolution of Barbie through this link. What people are failing to ask is what is really going on here? This is not about diversity, this is about survival. Brand survival. How does a toy stay iconic? It moves with the times and meets the expectations of it’s audience. Barbie are cleverly using diversity to drive sales and create a strong identity that their new modern market can identify and connect with. In the past any Barbie that didn’t fit the conventional mould was labelled limited edition, like my Benetton Barbie. They are creating this strong image for their audience to identify with by creating more shapes, sizes and skin tones and making them part of their standard range then using this to address the damaging ‘stick thin’ model mentality that’s so popular in modern media. Ah, a form of feminism for capital gains. 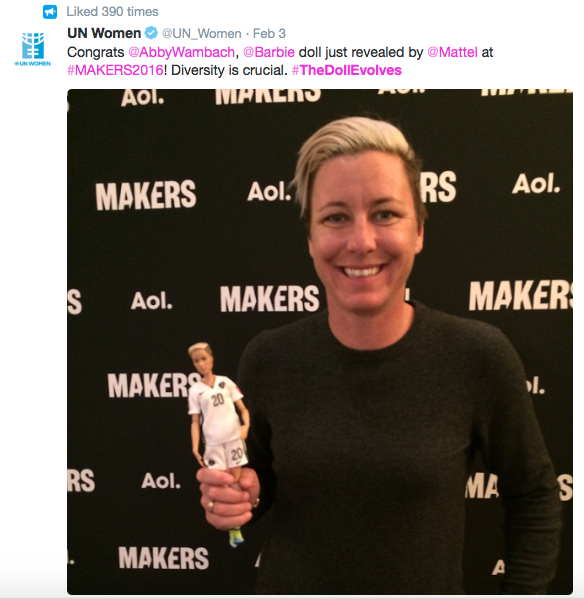 They are even aligning their brand by creating bespoke look-a-like dolls for influential women which are then being promoted through the UN Women’s Twitter account. 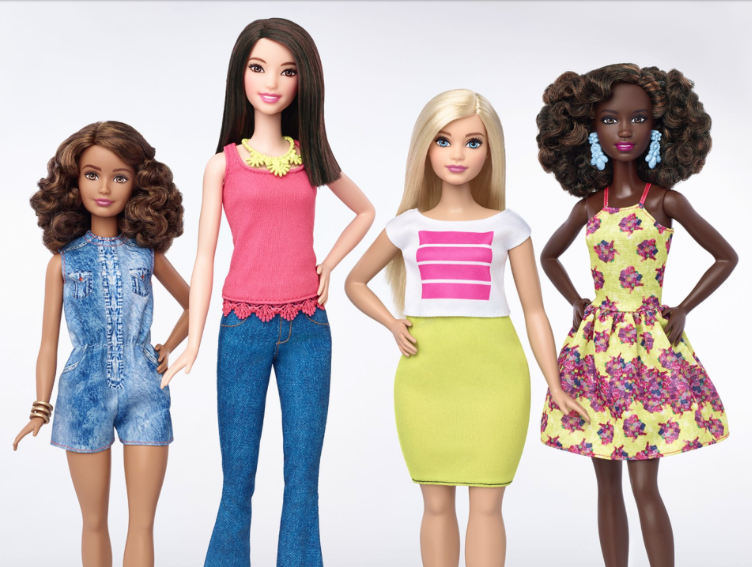 Mattel are broadcasting their acceptance of diversity and positive body imagery with a highly public and prominent PR awareness campaign. Would Mum’s around the world want to buy their child a more diverse doll to promote a healthy or different body image? Of course they will. But don’t be fooled, this really is nothing more than clever public relations to ensure a brands survival with the additional benefit of reputation enhancement. It’s pretty impressive and powerful PR. P.S. 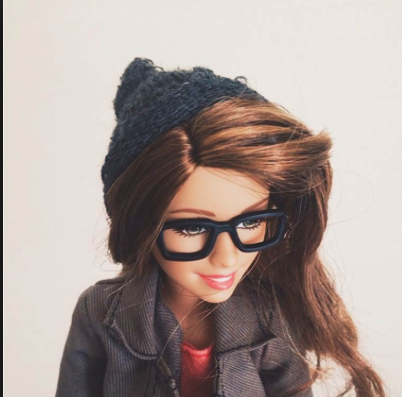 If you want a giggle check out the popular ‘hipster Barbie’ instagram account – a parody of hipster insta accounts! 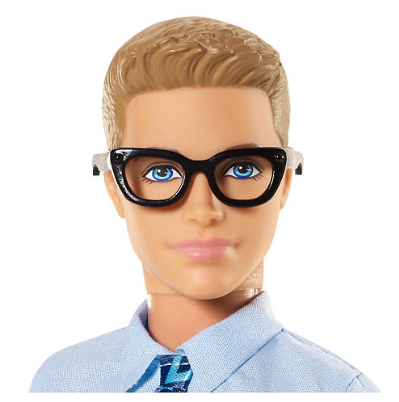 Hipster Barbie has her own Instagram account!